I, Andy Lee Graham lived in Iraq days in August-September of 2003, traveled to Dohuk, Arbil, Sulaymaniyah, Kirkuk, Mosul, Baghdad, Babylon, Basrah. I read in a morning missive from CNN the American troops crossed the border into Kuwait today December 18, 2011. 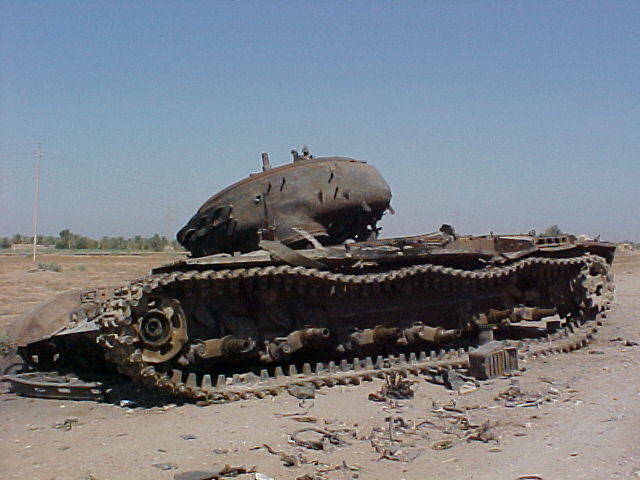 The second war in Iraq has officially ended, whatever that means. Visited: Dohuk, Arbil, Sulaymaniyah, Kirkuk, Mosul, Bagdad, and Basra, and went left by the Silopi Turkey border. My mission in Iraq: To check out what the USA government was doing in my name as a citizen of the USA. To witness what really was happening in Iraq without the spin of the journalist. I was 18 years old when the Vietnam War ended, I received a draft card, but never went into the service. My opinions of the Vietnam war at age 18 were of an idiot, a gentleman would have kept his mouth shut, or learned first why he was complaining. From about 1964 until present was whatever is the opposite of the "Greatest Generation." We are living in a time of history where behaving as children is celebrated and people like me who tried to witness the war are considered naive and uninformed. Therefore, I cringe when discussing the Iraq War, I know the conversation has a 99 percent chance of being a discussion with an angry child, one who would refuse to read or thoroughly research the topic. These readers, or people I can meet and discuss the war with "know already," and even though I have proven feet on the ground experience, are arrogant to contradict me. This is not the behavior of a Gentleman, I am not sure what to say, or how to explain this war, the damage done by the war was not on the battlefield. It was to the minds, hearts, and souls of the USA people. I am proud of the USA, I am proud to a USA citizen, it by far is one of the best countries on the planet. And even though I have visited 90 countries, and lived perpetually traveling for 13 almost 14 years, my opinion is considered of no value by the people of the USA who already know, who have contempt before consideration. Am I happy the Iraq war is over? Germany caused the death of some 55 million people in WWII, and we need to keep an eye on them. Therefore we have troop in Germany, we have troops in Japan, there are American soldier posted all over the world to protect the world from itself. And, it feels as if the we are leaving Iraq for some political reasons, and probably because it is not a popular place to live by Christians. Therefore no, the will and force of the USA needs to be in Iraq as a police force, there needs to be a clear and present danger obvious to the government of Iraq. But, we the USA probably does not have the will, therefore maybe better to leave. 1. We liberated the country from Saddam, everyone I met in the country had one to two people missing from his family. 2. Saddam will be considered a mass murderer, the same as the German Hitler or Pol Pot in Cambodia. There will be tour of his genocide. 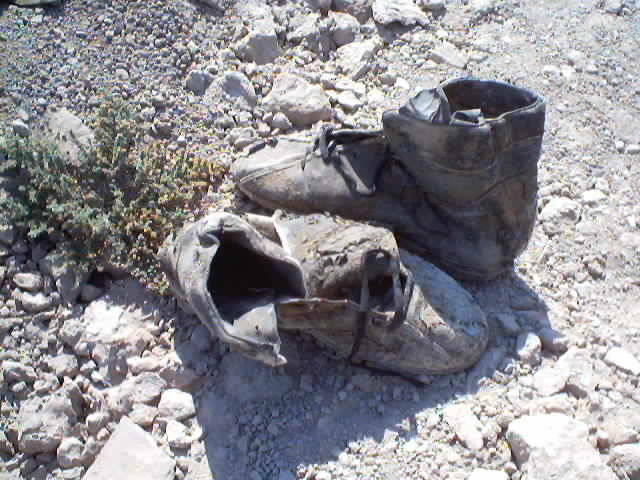 I personally seen a grave of 2700 Islamic men who Saddam killed and buried. 3. It was not a war, it was a Police Action, 6500 brave soldiers died in Iraq as volunteers to go fight. It was a victory, the victory has spread to Afghanistan, Syria, Libya, Egypt and many other Islamic countries. This war is a war between Islam and Christians, and of course money, but all wars are rooted in money and territory. George W. Bush did the right thing, except there is no reason to put soldier into a country, we should have bombed the country until they surrendered, the goal of war is to kill the other side, not to rebuild. 4. Military Corruption is out of control, the people, the average citizen dreams of getting a contract with the USA government. The people, the citizens of my country, the USA normal people want to be clever and fleece the government out of billions, trillions of dollars. People take pride in being clever, not in being noble or honest, this is the tragedy of the war, a corruption of the soul of the average person that now believes in clever, over honesty. 5. Journalist from the USA lied 85 percent of the time about the war, I personally witnessed false report, outrageous lies put on by CNN and BBC. The major news organizations report what is profitable because it is controversial, it is seldom even close to the truth. I watch CNN or BBC now to see the headlines, and recommend that any sensible, savvy person to stop watching. I am Travel Blogger, I have seen to much of the planet now, I will never fit into the normal world again. I accept my fate, I know my opinions and understanding have strayed to far from normal media propagated concepts. Therefore, less than 1 in 100 people will agree with my opinions. I do not care, this is my life, my opinions have never been for sale, and they never will. Note, Travel Writers are normally worst liars than the War Journalist, so do not think I am in a better arena. War is normal, one government occupying another must happen, it is an inevitable part of history. I am grateful the numbers of soldiers dying has greatly decreased. Maybe there was 58,000 soldier killed in the Vietnam War, and now about 6500 killed in Iraq. The number of times 6500 men were killed in battle in the history of the world is countless. What I just said above about the police action was not denigrate the soldiers, or minimize their victory. I am proud they are willing to sacrifice their live in my stead, for me, they died so that my family can be safe. However, I celebrate the idea of being a man, a person who say what they believe with ruthless clarity. I dream that the USA people, the elected officials, the common person in the USA to "Man Up," and talk about reality, not what they want. The soldiers, the heroes who manned up and died in the war, should not need to listen to complaining soldiers who did not man up, who lie while in their graves. The job of soldier, the job of the President of the USA, the job of the politicians in Washington is to what is correct, best, regardless of their safety. To make the hard decisions that mothers at home cannot understand, and go do them. To celebrate people of ruthless and brutal honesty, this is the America I am proud of, and the damages of both the Iraq, Vietnam, and Afghanistan war is the death of honest opinions. 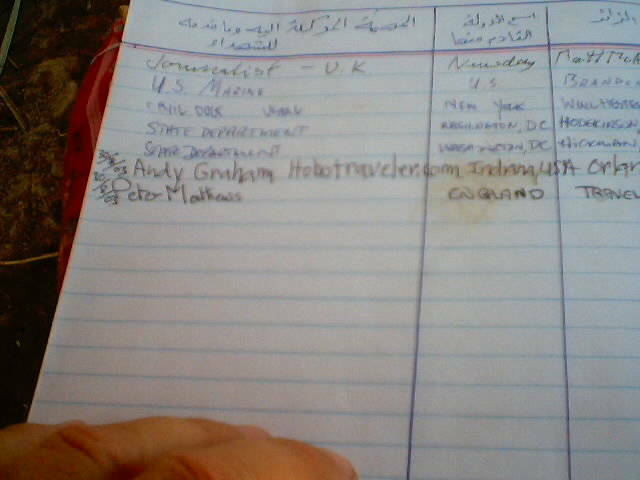 This is a photo of my signature at the Mass Grave in Iraq. It was a horrible feeling, I was crying, weak, not sure how to feel. 2700 bodies were under the ground, all killed by a selfish man will, a person who believed he had the right to enslave a country to his will. Hitler made the people of Germany feel important, Sadaam made the Islamic people feel important. I suppose our need to feel important is our biggest human failing. We can be manipulated, maneuvered and managed by people when we have an image that we are important. I have a dream of a time when people who do the right thing are again celebrated on earth. where honesty is championed, and good men kill without remorse men like Sadaam Hussein, Hitler and anyone who celebrated their person status at the expense of honesty, truth, I hope the American dream returns, and this nightmare ends. Sadly, I know that is impossible, the truth was the casualty of the Iraq war, it will never be felt again by the American people or the world.